Boldt Contractors is a family-owned and operated company that provides sales, service and installation of residential heating, cooling and indoor air quality systems. We do HVAC work for new home construction, remodels or equipment replacements. 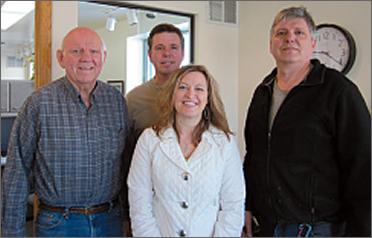 We have been serving the Mukwonago and East Troy area since 1976. Our full sheet metal shop and showroom is located in the Mukwonago Industrial Park. As a Lennox Premier Dealer, we have met and maintained an excellent customer rating. The majority of our business comes through referrals from our many satisfied customers-go ahead and ask your neighbors! Feel free to invite us in for a second opinion or a straightforward evaluation of your current home comfort needs. Estimates are provided free of charge. Boldt Contractors strives on bringing honesty and integrity to every aspect of our company. Whether it’s a sales appointment, a service call, an installation, or answering the phone, a Boldt will be there to help you. Business hours are Monday through Friday 7:30 am until 4:30 pm. After hours service is available during the heating season. For more information, call (262) 363-8466. © Boldt Contractors Inc | Heating and Air Conditioning. All Rights Reserved. Website by Badgerland Marketing.